Discover our delicious burger sauces and flavored beers. Discover our range Aromatop VEGGIE. Discover Aromatop Fresh herbs range, a selection of flavors close to nature. Discover our AFRICA range. A selection of sweet and savory African tastes. Discover also our flavors with declared origins. Inspired by nature, Aromatech present you his new range AROMATOP CHEESE : gouda, emmental, camembert, Greek cheese, blue cheese, cheddar… Aromatech offers you a unique range to offer to your customers a prefect quality of product. All products of our range AROMATOP CHEESE have been carefully selected by our teams to provide you the best. Inspired by nature, Aromatech present you his new range AROMATOP MEAT: chicken, beef, lamb, pork, smoke… Aromatech offers a unique range of meat flavors for consumers searching for quality perfection. All products of our range AROMATOP MEAT have been carefully selected to provide you with the best meat flavors. OFFERING YOU THE BEST MEAT IS NATURAL FOR US ! Aromatech created a new range TRUE TO NATURE with products carefully selected to create fruity flavors closest to nature. The R&D laboratories of Aromatech group developed a flavour able to reproduce salt taste, and to substitute at least 25% of salt in final applications (prepared meals, brine, soups, bakery…), meeting one of the main food industry issue. Sensalt® is a natural flavour containing no additive and no potassium chloride, often used in some salt enhancers. This additive adds metallic bottom notes and bitterness, and must also be declared on labels (E508), which doesn’t suit current consumers’ expectations. Consumers now ask for “clean label” with less artificial ingredients and additives. In order to develop a successful flavouring solution, flavourists and evaluation teams of the group studied and evaluated salt profile and flavouring sequence. Then, they reconstituted from strictly natural raw materials. It was important to consider all sensations delivered by salt during tasting, especially its big first impact, its mouthfeeling, its enhancer power and all descriptors identified during the tasting. Tests and panels have been organized to confirm the percentage of salt substitution without taste loss. Finally, Sensalt® is a natural flavour enabling to substitute at least 25% of salt in the finished product. Recommended dosage is 0,3%. It is perfectly stable and hot resistant. Aromatech Group has developed the AROMA-T® range of flavours for teas and herbal teas. These flavours are available in liquid and granulated forms in order to meet technical requirements of leaf spraying and tea bag packaging. Doses are standardised for both liquid and granulated forms to facilitate use. This range contains products in the three main regulatory groups: organic, natural flavour and flavour. And Aromatech also offers a 'low cost' and 'Innov'' Aroma-T® range to meet tea manufacturers' expectations on pricing and originality. With our pilot granulator and spray-dryer we can offer our customers tests of all types under real manufacturing conditions. The Aromatech Group has developed the AROMATOP® range of savory flavors, developed by its R&D laboratories. 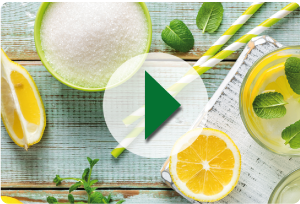 AROMATOP® flavors are offered in encapsulated by spray-drying or liquids, depending on the end use: cooked dishes, soups, meat, delicatessen, snacks, sauces, marinades, seafood and cheese and dairy products. Discover AROMATOP MEAT, AROMATOP CHEESE, AROMATOP TECH. Aromatech has developed BeMIX flavours, a new concept in flavours for beers and beer-based drinks for use by brewers around the world. BeMIX, developed in Aromatech's R&D laboratories, is available in 22 flavours designed specifically for applications in beer, taking into account the flavours produced naturally during the fermentation process. A range aimed at men, with notes from the world of spirits: tequila, whisky cream, curaçao and vodka. A range with hints of premixed drinks, based on a combination of beer and spirits (rum and vodka). A range of beers with an aroma of fruit signalling a return to the true flavour of the fruit and to naturality with its 15% juice content. In addition, the BeMIX 0 range has been developed for beers and drinks based on alcohol-free beer. This range is aimed primarily at the export market, particularly Africa and the Middle East, where alcohol-free beer is enjoying growing popularity. The BeMIX 0 range comprises essential flavours (lemon, lime, raspberry and peach), characteristic original flavours (for example, sour cherries with a Morello-type profile very popular in Turkey) and exotic flavours highly valued in applications of this type (pineapple, mango and pomegranate). FRUITALYS® is a range of flavours developed by Aromatech Tunisia, mainly used by pastry chefs, bakers and ice cream manufacturers. It comprises complete flavours tailored to the final application with carefully selected organoleptic profiles. It is easy to use with a unique dosage per range. Fruitalys® Chef: this range is ideal for direct use as a culinary aid for chefs and individuals to create homemade recipes such as desserts, pastries, bakery products and ice creams. It is packed in 30ml PET bottles adapted for kitchen use. Fruitalys® Liquid 0.3% / 1% and Fruitalys® Paste 5%: these ranges are for manufacturers of pastry and bakery products and ice cream, bringing flavour and/or colour to the final application. Fruitalys® Liquid 0.4%: this range is aimed primarily at manufacturers of juices and syrups.